For those of a similar name, see Billy Watts (disambiguation) and William Watts (disambiguation). William F. Watts Jr. (born May 5, 1939) is an American former professional wrestler, promoter, and WWE Hall of Fame Inductee (2009). Watts was famous under his "Cowboy" gimmick in his wrestling career, and then as a tough, no-nonsense promoter in the Mid-South United States, which grew to become the Universal Wrestling Federation (UWF). In 1992, Watts was the Executive Vice President of World Championship Wrestling (WCW) but after clashes with management over a number of issues, as well as feeling pressure from Hank Aaron over a racially sensitive piece of correspondence, he resigned. He was subsequently replaced by Ole Anderson who was then succeeded by Eric Bischoff. As a professional wrestler, he famously feuded with WWF Champion Bruno Sammartino, but was unable to win the title. In the 1960s, he wrestled in many areas, such as San Francisco, Chicago, St. Louis, and even Japan for All Japan Pro Wrestling. During these periods, Watts challenged for both the National Wrestling Alliance and American Wrestling Association versions of the World Title. Bill Watts is perhaps even more famous for being a pioneering promoter in the Mid-South area of the USA, with his base of operation being in the Shreveport, Louisiana area. His promotion was known as the Mid South Wrestling. He is often credited with creating the current and popular "episodic" style of TV wrestling, building solid creative storylines week-on-week, with an emphasis on solid in-ring action with dependable wrestlers like "Dr. Death" Steve Williams, The Junkyard Dog, Ted DiBiase and Jim Duggan. He's an outspoken critic on breaking kayfabe and "smart" wrestling fans. A Watts-run promotion always had face and heel wrestlers dress in different locker rooms and to have faces and heels not meet publicly. He has also been known to revamp his booking plans in order to protect the business from such fans. When a newspaper mentioned a wrestling event being the last one Jake "The Snake" Roberts would wrestle in Watts' territory and talked about the tradition of a wrestler jobbing in his last match to put his opponent over and to expect the finish to be in that fashion, Watts changed it so Roberts actually won the match and got put over on his way out of the territory. After losing over half a million dollars, Watts sold the UWF to NWA Mid-Atlantic's Jim Crockett Promotions, who kept a lot of their stars, such as Sting. Instead of having UWF as a separate organization, Crockett sent his mid-card wrestlers to the UWF and had them quickly win their titles. Eventually, the UWF folded, and Crockett would be bought out by Ted Turner in 1988. 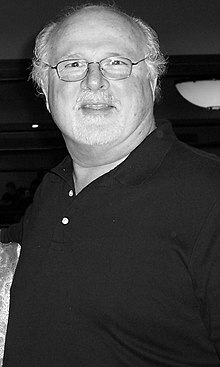 In April 1989, after firing George Scott, WCW offered Bill Watts the chance to book, but he declined the offer and WCW instead decided to go with a booking committee, which included Ric Flair, Kevin Sullivan, Eddie Gilbert, Jim Ross, and Jim Herd. Watts became Executive Vice President of World Championship Wrestling (succeeding Kip Frey) in 1992. He took a lot of his old-school values with him, such as banning moves from the top rope and the babyfaces and heels separation. His tenure was not long, nor were his ideas overly embraced. According to his biography, Controversy Creates Ca$h, Eric Bischoff (who worked under Watts at the time) felt Watts would intimidate anyone he was talking to and was only interested in taking the WCW product back to 1970s standards, with poorly lit arenas and house shows in remote rural towns. He introduced his son, Erik Watts, to WCW around this time, who many felt was not ready for national wrestling. As a promoter, he often championed and pushed African-American wrestlers as his top stars—first Junkyard Dog in Mid-South Wrestling, as well as "Big Cat" Ernie Ladd, who he later inducted into the WWE Hall of Fame, and Ron Simmons in WCW—in order to appeal to the African-American fan base. Under Watts' reign as WCW chief, Ron Simmons became the first African-American professional wrestler to hold a widely recognized World Heavyweight Championship. Mick Foley referred to Watts' history of "creating a black babyface and building the company around him", while talking about his match with Simmons. The circumstances of Watts' departure in 1993 are controversial. Prior to 1992, he had given an interview to a wrestling newsletter. Most notably, Watts had commented on Lester Maddox, a restaurant owner (and future Governor of Georgia) who was told he had to serve black people but instead closed down his business. Watts felt Maddox stood up for what he believed in and acted accordingly. He also made several other controversial statements pertaining to race and sexual orientation. When he was hired by WCW, Watts had explained the situation to Turner president Bill Shaw, apparently to his satisfaction. However, a year later wrestling journalist Mark Madden brought the interview to the attention of Hank Aaron, himself a vice president in the Turner organization with the Atlanta Braves, who then pushed for Watts' removal. While Madden takes credit for Watts getting fired, Watts himself disputes this account, saying he was not fired for the comments but quit his position out of frustration over "backstabbing" by Shaw and (unbeknownst to Shaw) had already resigned by the time Aaron got the newsletter. Watts was replaced by Ole Anderson. Bill later went on to a position of booking power in the World Wrestling Federation. His tenure there was short, as Watts stated in later interviews that he was only there on a three-month contract and had no interest in staying long-term. On April 4, 2009, Watts was inducted into the WWE Hall of Fame as a part of the Class of 2009. Bill Watts is a Republican, and in an ROH shoot interview with Jim Cornette, he criticised Bill Clinton and the Democrats numerous times. He also said, "All men are equal, but some men are more talented than others, and worth more." Watts served as co-host of a sports talk radio show on The Sports Animal in Tulsa, Oklahoma until late 2008. He was a longtime resident of Bixby, a Tulsa suburb. In March 2006, Watts released his autobiography The Cowboy and the Cross: The Bill Watts Story: Rebellion, Wrestling and Redemption through ECW Press. The book chronicles his upbringing, his career as first a wrestler then a promoter along with events in his personal life. The book also details his becoming a born-again Christian. Watts is married to his wife Charlotte, and has five children: William III, Joel, Erik, Micah and a daughter named Ene. Watts being inducted into the WWE Hall of Fame in 2009. ^ a b c Watts (2006), p. 6. ^ Meltzer, Dave (2012-07-19). "Thurs. update: New UFC PPV main event; Unique tag team on biggest foreign show; New TV show to debut in August; UFC press conference notes, WWE 1,000th notes, Jericho charts". Wrestling Observer Newsletter. Retrieved 2012-07-20. After living a lifetime in Bixby, OK, Cowboy Bill Watts, now 73, has moved to Miramar Beach, FL in a beach home on the Gulf of Mexico. ^ Hornbaker, Tim (2007). National Wrestling Alliance: The Untold Story of the Monopoly That Strangled Pro Wrestling. ECW Press. p. 351. ISBN 978-1-55022-741-3. ^ Foley (1999), p. 238. ^ Foley (1999), p. 237. ^ Russo, Ric (April 14, 2000). "What Ever Happened To . . . Cowboy Bill Watts?". Orlando Sentinel. ^ a b Jimmie Tramel, "WWE Hall of Fame to induct 'Cowboy Bill'", Tulsa World, April 3, 2009. ^ a b "WWE Hall of Fame profile". Retrieved 2011-03-29. ^ "Flair, Watts, Taylor to enter Tragos/Thesz Hall of Fame". WrestleView. 2012-10-17. Archived from the original on 2012-10-21. Retrieved 2012-10-17. ^ Johnson, Steven; Oliver, Greg. "Cowboy Bill Watts". Professional Wrestling Hall of Fame and Museum. Archived from the original on 2016-06-18. Retrieved February 10, 2017. ^ Meltzer, Dave (2012-12-10). "Mon. update: Major Spike announcement tomorrow, Aces & 8s identity, TNA injury updates, Hall of Fame inductions announced, WWE two PPVs this weekend, Jericho schedule, Amateur wrestling hits MSG first time ever". Wrestling Observer Newsletter. Retrieved 2012-12-10. Foley, Mick (2000). Have A Nice Day: A Tale of Blood and Sweatsocks. HarperCollins. ISBN 978-0-06039-299-4. Watts, Bill; Williams, Scott (2006). The Cowboy and the Cross: The Bill Watts Story. ECW Press. ISBN 978-1-55022-708-6. Wikimedia Commons has media related to Bill Watts. This page was last edited on 1 April 2019, at 16:49 (UTC).